Bringing ideas from the imagination to life with crochet. 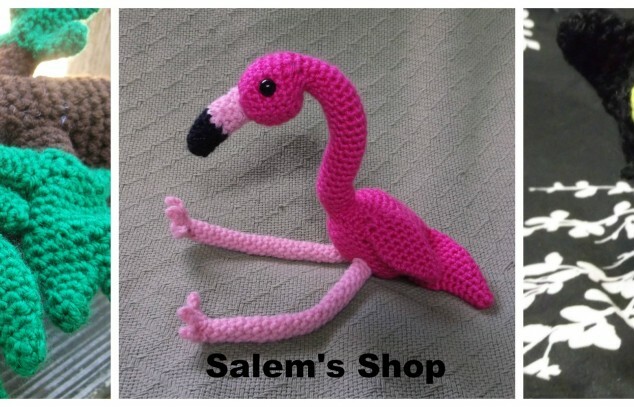 I started Salem's Shop because I wanted to get my crocheted creations out there. To share some stuff that no one else has come up with yet. 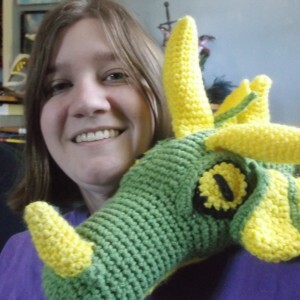 I love to crochet all kinds of animals, real or fantasy. It took me awhile to come up with a name for my shop. I tried many names, but nothing fit. I took one look at my black cat and the name came. Salem's Shop. I make up all my own animal patterns. I like to be original and try and not to copy other people's crocheted work. All my animals are made by me. I sell some of my patterns on ravelry.com at Beverley K. Melillo's Ravelry Store.